Jane MacNeill (b 1971) is best known for her otherworldly, finely worked paintings in oils and gold leaf. 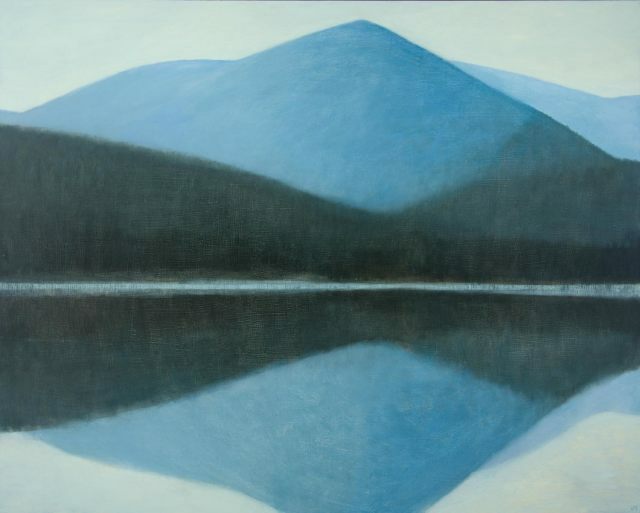 The apparent simplicity of her compositions, subtle use of colour, close tonality and rich surface quality give her work a profound feeling of interior stillness and compassion. MacNeill’s work has developed through several phases. In its earliest period, she created haloed figures that hovered between dimensions like angels. After this MacNeill painted the birds around her rural Inverness studio. She only painted creatures she made eye contact with and presented them as if they were, like the angels, haloed. MacNeill’s latest work distils the landscape down to subtle vibrations of paint and energy. public collections such as the Wakefield Gallery, The Royal Scottish Academy and Edinburgh College of Art.